Glass world globes provide an elegance and delicacy that cannot be found in more regular globe materials such as plastic. 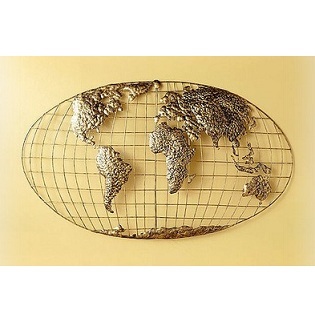 I recently came across a selection of world globes made from glass and was highly impressed. 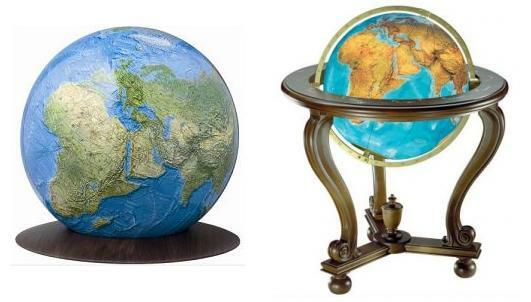 World globes are usually used as educational tools in the school classroom, in a child’s bedroom or placed on a desk top in a home study or library. However, glass world globes provide the option of a highly decorative feature in which to compliment existing interior design. The collection I found are all made from hand-blown crystal glass with accompanying display options depending on whether the glass world globe is illuminated or not. This Duorama Map effect allows for educational aspects of a world globe to be paired with the aesthetic charm the colors of the physical world provide. 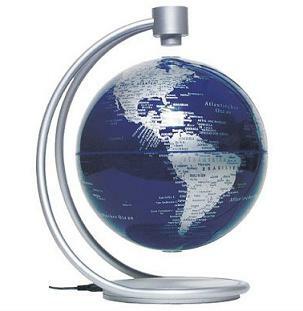 Each world globe made from hand-blown glass comes with a unique base. Some are perched on a wooden base whilst others are held aloft with gold lacquered metal or stainless steel. Whether you’re looking for a purely educational tool or an attractive decorative feature that will gently improve your knowledge of geography, there’s something for everyone. The collection can be found here: Glass World Globes for Sale.